This year's A Walk for Water is dedicated to our hero, Cal Smith, who singlehandedly mowed the entire rally field. The night before the grass on the field was two feet high. If it weren't for Cal's initiative - he was in the field until 10:30 pm - A Walk for Water would have been extremely inconvenient, and unenjoyable, too! Here's to Cal! He helped make it beautiful! 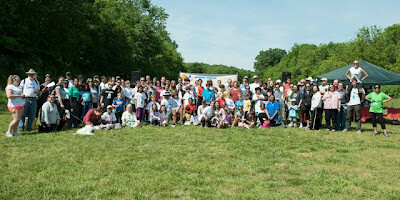 110 people from various DC area schools gathered. 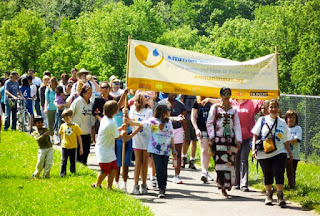 On May 12, 2012, about 110 people gathered at Lake Frank in Derwood, Maryland to participate in A Walk for Water, a 3 mile walk through in the woods around Lake Frank. The event supports Amman Imman's construction of permanent water sources in the Azawak of West Africa - Oases of Life that provide clean and sustainable water, and open opportunities for food, education, health and econmic initiatives for the children and families in the water scarce region. 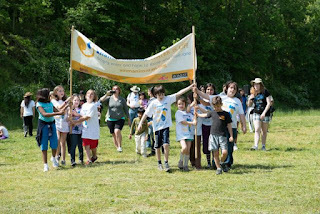 Student carry the Amman Imman banner to start the walk. 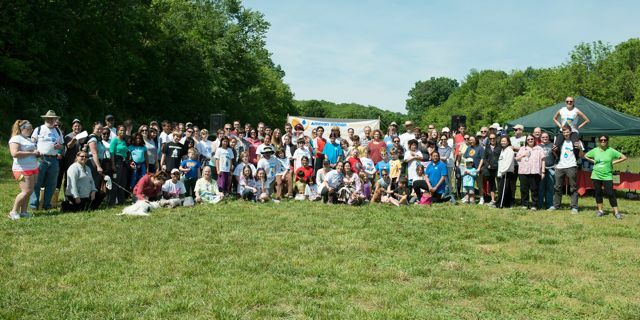 This family event was attended by representatives from various schools in the Washington D.C. metropolitan area including the Barrie School, Bethesda-Chevy Chase HS, Evergreen School, German School Washington DC, North Hagerstown HS, Northwest HS, Oneness-Family School, School Without Walls, Seneca Valley HS, Watkins Mill HS and Westland Middle School. 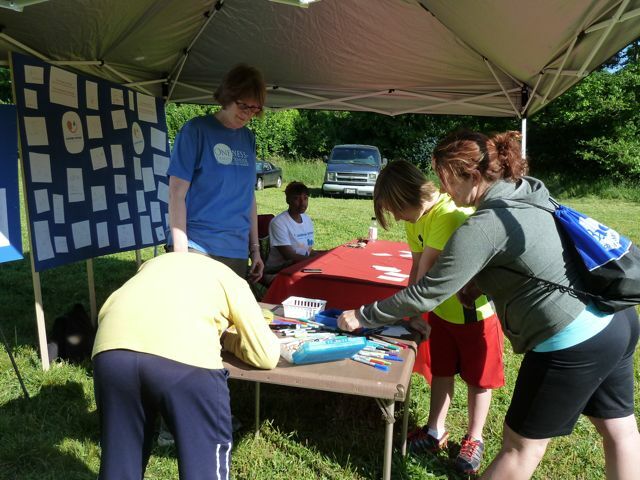 Some returned for the 6th year in a row, celebrating an annual tradition that raises awareness of our most basic resources, cultivates values of compassion and provides a venue for taking action. 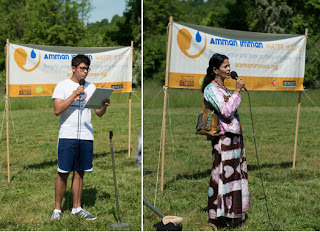 Others participated for the first time after learning about the water crisis affecting the people of the Azawak through a presentation at their school. Idean and Hadesh at the rally. We had several speakers, including Idean Marvastian, a high school student at the German School Washington DC, who dedicated himself to promoting Amman Imman's cause at his school this year. Our special guest, Hadesh Walet Mahmoud, a Tuareg woman from Mali, shared her beautiful voice and an original song she'd written about water and the event in her native Tamashek. We also heard from Oneness-Family School director Andrew Kutt, and Friendship Caravan president Michael Kirtley. Children participated in The Friendship Exchange, making drawings that we hope to share with children in the Azawak. In exchange, they each received a card with a drawing made by students who attend school in Kijigari, site of the Montessori Well of Love borehole. They also received a special certificate commemorating their participation. By the time we started walking, the sun shined brightly, too hot for some participants. Many people were thirsty. Some complained about the bugs. The rally, usually about 20 minutes, went overtime, causing people to linger in the heat longer than desired. Yet these conditions, outside of our usual comfort zone, only slightly mirror what children in the Azawak go through searching for water. That we should endure an inconvenience for an hour's time seems appropriate for the situation we are bringing awareness to. Imagine walking or riding on the back of a donkey, in the heat of 120 degrees F, with no water to drink, just to find water to meet your basic needs. These children daily endure conditions completely out of their control. We endured a fragment of their reality for a short morning. From the larger perspective, we came together and enjoyed nature, under the conditions that nature gave us, for the sake of these children, in hope that by our efforts, their well being will be improved. 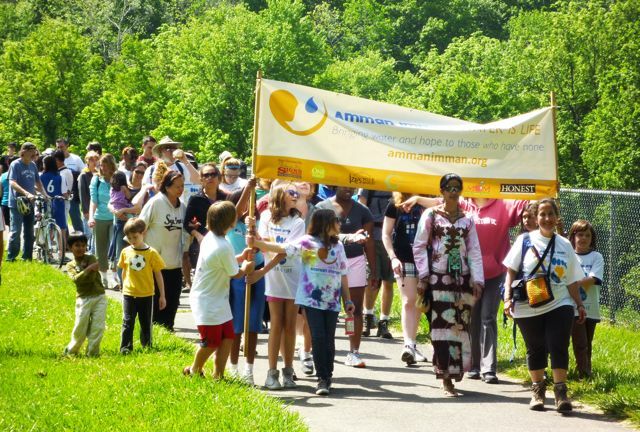 A Walk for Water at Lake Frank raised $3,300 which will be allocated for Amman Imman's Oases of Life projects in the Azawak of West Africa. into something tangible that will save lives! Teachers/Parents/Volunteers: Brian Fisher for driving the bus, Peter Megginson for overall support and sweeping the trail all by himself, Karen Cronin and Judy Yormick for womaning the registration table and check-out, Upen Singh for his positive energy and bookkeeping help, Andre Da Silva for bringing the refreshments, June Lang and her students for designing the Friendship Exchange display, Marcy Seitel for directing the Friendship Exchange at the event, Maurice for pitching in at set up time, Melissa and Sophia for folding the cards, Jim Denaro, Michael Kirtley and Bernie Van Leer for taking photos, and Luke DeBoinville and Amy DeBoinville for making a video. 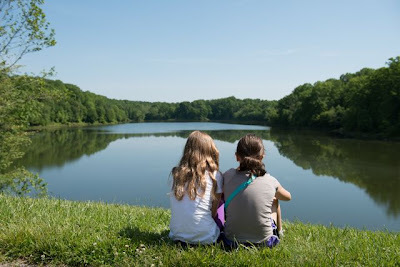 Oneness-Family School for the school bus, Friendship Exchange and invaluable love and support. what a neat thing to do. and what a great lesson to that those "rough" conditions for the race aren't close to what those endure. Yes, the Walk this year was so symbolic of what we consider "suffering" vs what we have so readily at our fingertips. The message is loud and clear: appreciate, be grateful, and work together! Aww lovely, what a beautiful event, glad that it turned out really positive..